Living on the road means we pack and unpack our bags a lot. Packing can be a total drag, but we both invested in some of the best packing cubes for travel and now we would never travel without them. We were skeptical when we first bought something to organize our bags and hesitant to spend the money on good packing cubes. 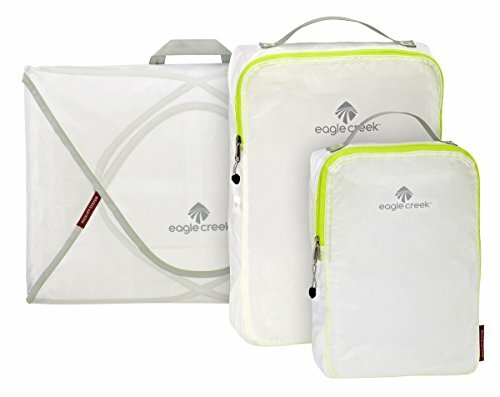 I want to share our favorite packing cubes from EBags, Eagle Creek, Shacke Pak, and more. Hopefully these make your packing, travels, and backpacking adventures easier like they have for us! But First, What are the Best Travel Packing Cubes? Why Should You Use Packing Cubes? Organization: This is clearly one of the main arguments for packing cubes. You can organize all of your clothes, toiletries, accessories and random items into neat tidy bags. You don’t have to worry as much about little things getting lost in your luggage with these luggage organizers because they’re always in the corresponding cube. Compression: Many packing cubes (or if you jam pack like me) do a good job at compressing your clothes. This frees up space in your suitcase allowing room for other things. Efficiency: When my bags are packed with packing cubes and I open my suitcase I can easily move the packing cubes – not all the clothes – from point A to point B. I don’t lose things like I used to. I can get in and out of my luggage with ease. Protection: Packing cubes really do a great job at protecting my clothes. I don’t have to wrap things in plastic bags in case there is a spill in my bag, and I don’t have to watch out for snagging my clothes on zippers anymore. They’re Eco! : I know you’re probably thinking that you can just put your clothes in plastic bags, but think about all that unnecessary plastic waste? At $20 a set it’s hard to justify using plastic bags over a packing cube. We all want to strive to be more eco-friendly! So, How Many Packing Cubes Do You Need? The amount of packing cubes you’ll need depends on the size of your luggage. Are you traveling carry-on only or do you have a large duffle bag? Most packing cube sets come with four packing cubes in various sizes, which is great for a long trip. If you are only going on a weekend getaway I would say two packing cubes should do the job. It’s 2017, there are tons of packing cubes on the market now. Selecting the best packing cubes for travel can be daunting, but these are some of our favorite packing cubes for travel. These travel cubes come in a variety of colors which is great for choosing what goes in where and distinguishing between all the bags. They come in large, medium, and small and are among some of the best packing cubes on Amazon. A basic set comes with one large, one medium, and one small. There is an option to get a five piece set as well. I personally only need three in my bag as it is not that big, but for those of you that love your clothes and have a bigger suitcase for packing cubes I would recommend the five piece. The TravelWise packing cubes are one of the best travel packing cubes because of how lightweight they are. Cameron has the Dot&Dot system and they have held up nicely for the past two years. He keeps all sorts of things in them jeans, toiletries, and shoes. The Dot&Dot Packing Cubes for Travel hold everything together well and have held up to his destructive habits, for not being super sturdy that’s impressive. It could be that they are spacious and they aren’t under much strain. I have to note that these packing cubes are larger than any of the others we’ve had. It’s not a bad thing, but it’s not necessary either. While Cameron thinks the Dot&Dot packing cubes are some of the best travel packing cubes I think differently with my Eagle Creek set. I scored the Eagle Creek Pack-It Compression set a few years ago on a mega sale at The Container Store. The Eagle Creek brand is great. They are slightly more expensive than most other packing cubes on the market, but that’s what you get for brand recognition. I like the compression set because it compresses, but to be honest it doesn’t save a ton of extra room in my luggage! I love stuffing my packing cubes full and then having the option to zip them even tighter. In my opinion, these are the very best packing cubes for backpacks like mine. Smaller sets than most other packing cube sets. However, this makes them one of the best packing cube systems for carry-on only. Hard to actually compress if the cube is too stuffed. Eagle Creek has also put together a Luggage Buying Guide to help you learn more about your options when it comes to luggage, travel packs, carry ons, and duffel bags. These packing cubes are nylon and water resistant. They are pretty durable and good for getting tossed around while traveling. The basic pack comes with four packing cubes which should be more than enough for any travel bag. 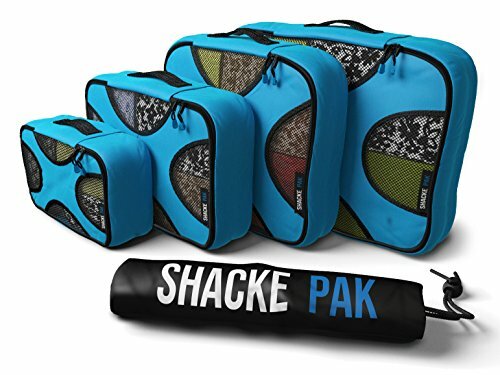 Shacke Pak prides itself on the quality of its zippers, which seem like a small feature but can obviously make or break your packing cube experience. The eBags are very similar to the Dot&Dot System except the sizing isn’t so monstrous. 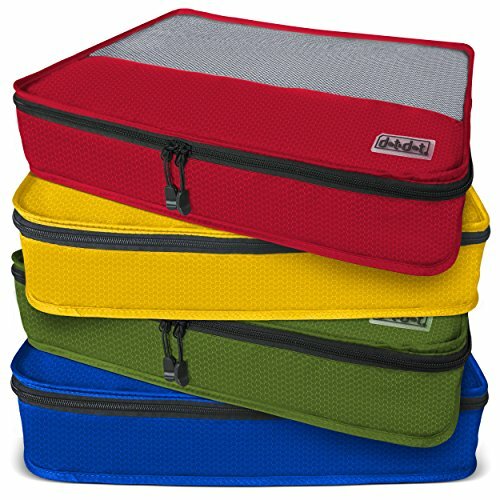 We love all the fun colors that eBags has, and that makes it great for organizing for a family. The eBags are some of the most popular andrecognizable on Amazon.They’re basic, but well known heavy duty products and some of the best packing cubes for backpacking. Many users comment on how small the bags are. Check the dimensions to make sure you’re okay with them. Still Wondering How to use a Packing Cube? 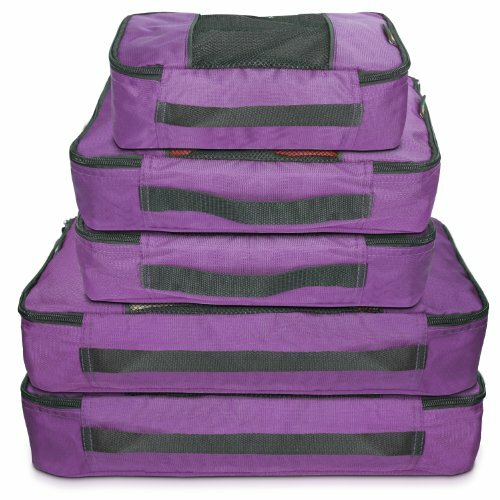 Where to Buy Packing Cubes? There are plenty of other packing cubes online. Many of them I find are available for purchase for a great price on Amazon. The ones listed above are some of the best backing cubes on the market. Ready to get packing?